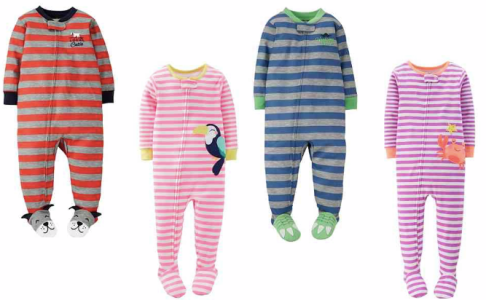 Carter's Footed PJs Only $3.85 Shipped! You are here: Home / Great Deals / Carter’s Footed PJs Only $3.85 Shipped! Carter’s Footed PJs Only $3.85 Shipped! Kohl’s.com has a great deal for cardholders on Carter’s pajamas for kids! Cardholders can get these Carter’s Footed PJs for Only $3.85 each Shipped! Final: $15.40/4 or $3.85 each + FREE shipping! Also, spend $50, get $10 back in Kohl’s Cash!